Preheat oven to 275 degrees. 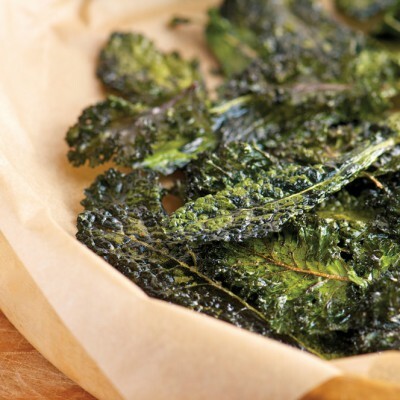 Remove the center ribs from the kale and cut into 1 inch pieces. Lay on baking sheet and toss with olive oil, salt, and any additional herbs or spices. Bake until crisp, turning the leaves half way through, about 20 minutes.